Approximately 0.96 acres of commercial land for sale on hard corner with additional land possible. 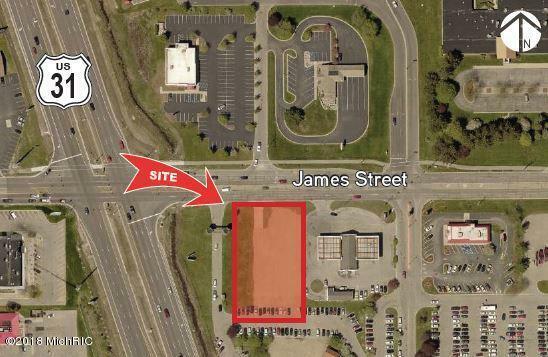 Great location on SE corner of James Street and US-31 with excellent traffic counts. Center of the primary retail corridor of Holland. Great for a new development project. One of the last available spots on US-31. New parcel to be created. Size and dimensions are flexible. Listing provided courtesy of Drew Alan Durham of Colliers International Holland. © 2019 MichRIC, LLC. All rights reserved. Information deemed reliable but not guaranteed.